Rudraprayag, named after Lord Shiva (Rudra), is located at the consecrated confluence of Mandakini and Alaknanda rivers. The presence of two distinct routes from Kedarnath and Badrinath makes this engrossing city imperative spot for pilgrims. The natural beauty of the region is an additional and fascinating point of attraction. For the tourists in quest of a comfortable accommodation in affordable and enticing rates, Hotel Shanrgila is an option compared to none. 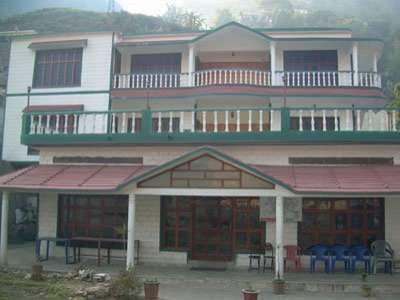 The resort is located at the scenic and sacrosanct confluence of Rudraprayag. 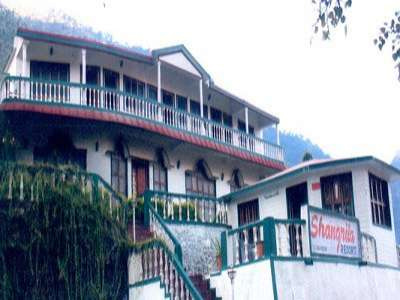 Offering absorbing views of the mountains and river, the resort provides its guests with old world's charm and contemporary amenities such as travel desk, laundry, multi-cuisine restaurant, safety deposit box, parking area, Children Park, and more. The meticulously designed and tastefully appointed rooms of the hotel are categorized as Standard Double Bed Room, Deluxe Double Bed Room, and Deluxe Four Bed Room. 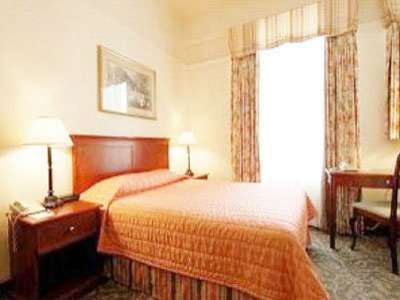 These rooms are equipped with amenities such as room service, attached bathroom, telephone, and more. In the multi-cuisine restaurant of the hotel serves vegetarian food and boasts indoor and outdoor seating. The resort offers a relaxing accommodation to visitors in its well-furnished and decorated rooms that are available in different categories Double Room, Deluxe Double Room, Deluxe AC Double Room, Deluxe Four Bedded Room and AC Four Bedded Room. Each room in the resort is neat and well-maintained in order to offer a pleasant stay to the guests. Some of the modern amenities available in the rooms of the resort are attached bathroom with hot and cold water facility, cable television, telephone, coffee maker, iron board etc.